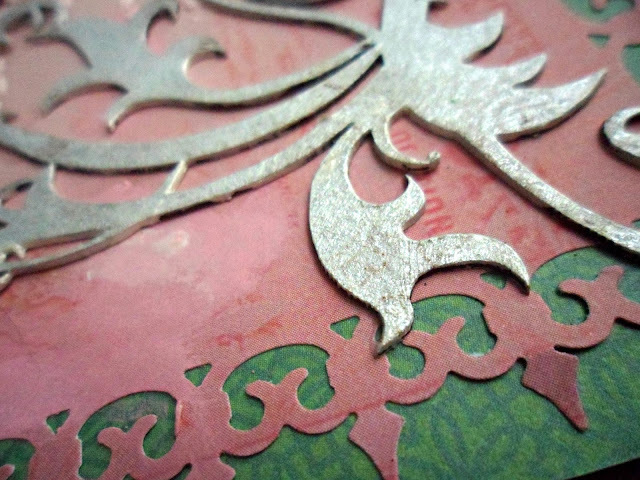 I used Distress inks in Gathered Twig, Rusty Hinge and Scattered Straw, applying them directly to the raw chipboard. It's almost that spooky time of year! For me, Halloween is all about the kids! I used Gina's 3 Story House to make something the kids would enjoy, a haunted house! I covered all the edges of the chipboard pieces to build the house with black gesso and then covered each piece with papers. I used black and purple crackle paint on two of the spiderweb shapes and used embossing powder on the orange one. Also, black, brown and copper crackle paint on the tree, and black and copper (added some Inka gold) on the string along crow. This house was so much fun to put together! Hello Friends! Today we have two amazing projects to share. 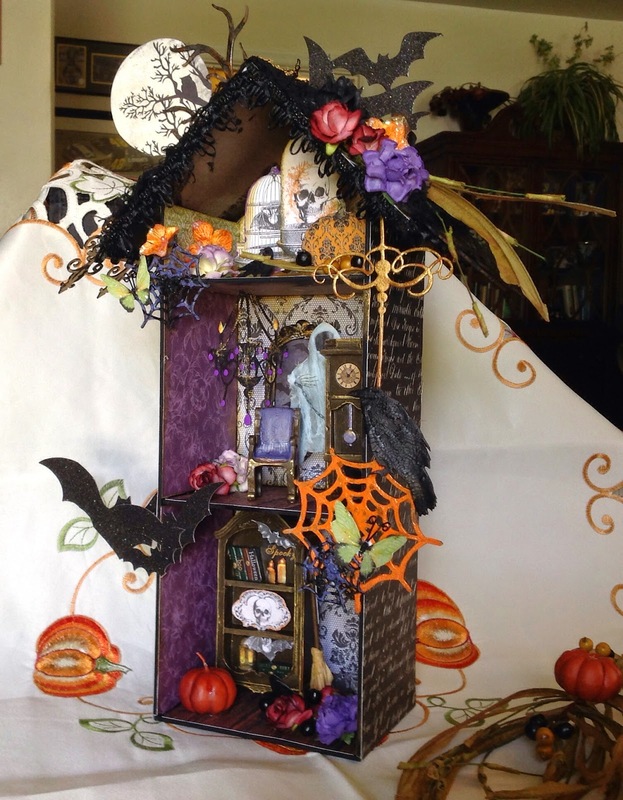 First up is Deann with a project celebrating the beginning of the Autumn season. 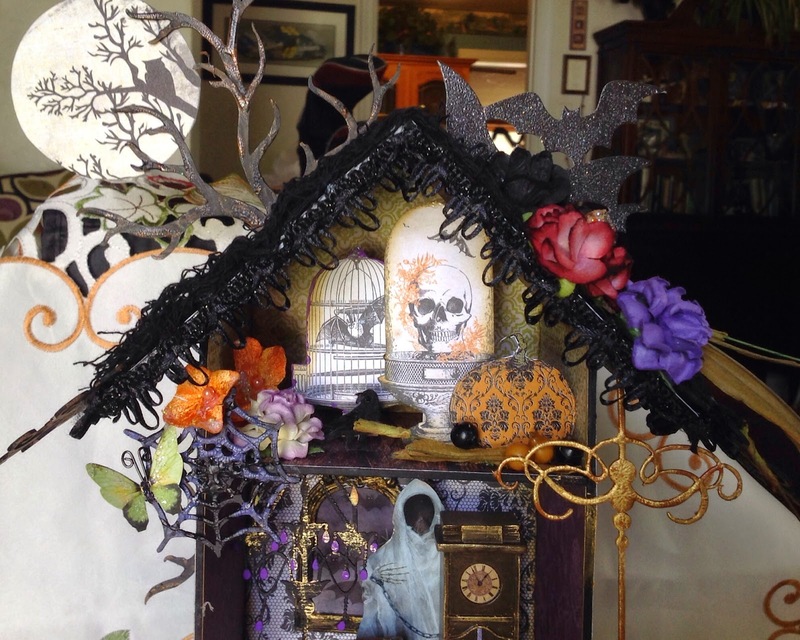 I used the House Shrine Box for this project and the awesome Fall Shape Set. 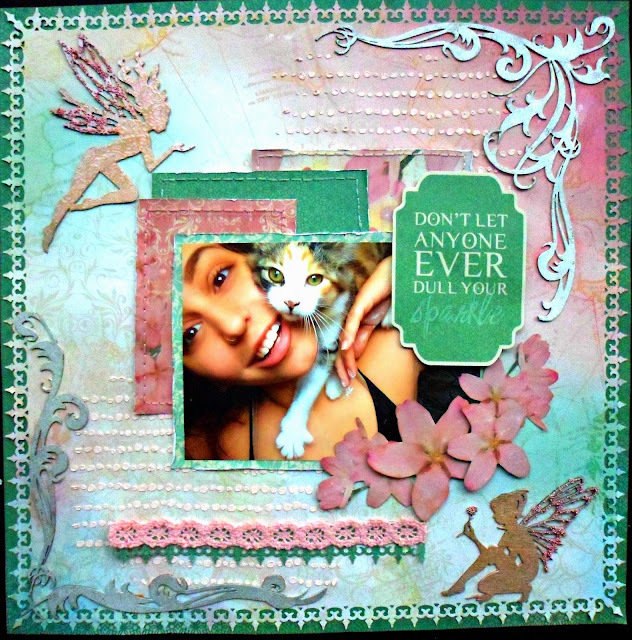 I did lots of layers on this project with the chip board and the Distress ink. The Scarecrow is the piece that started this project, I knew that I wanted to make it stand out. I went directly onto the raw chip board with the Distress Ink, Scattered Straw then Rusty Hinge and finished off with Gathered Twig. I used the same colors on the pumpkins with the addition of Forest Moss. 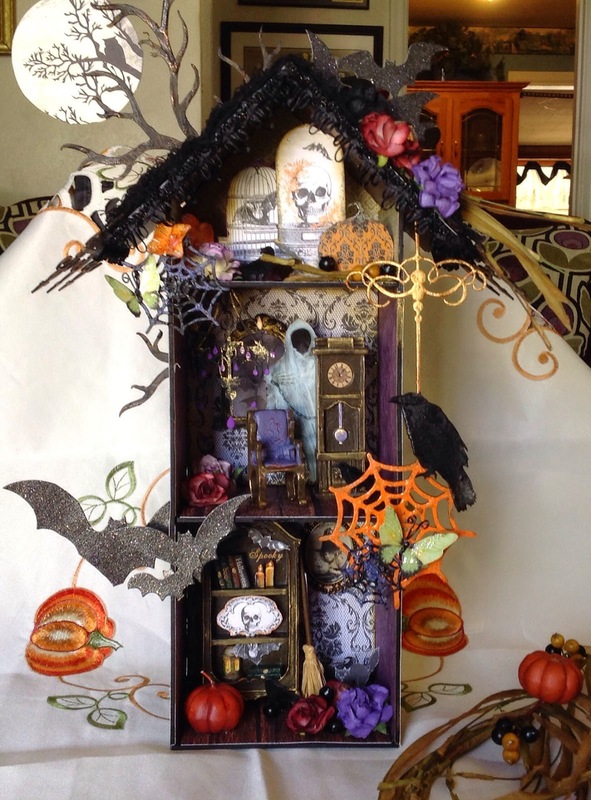 Next up is Veronica with a gorgeous layout to share. Hello Everyone! 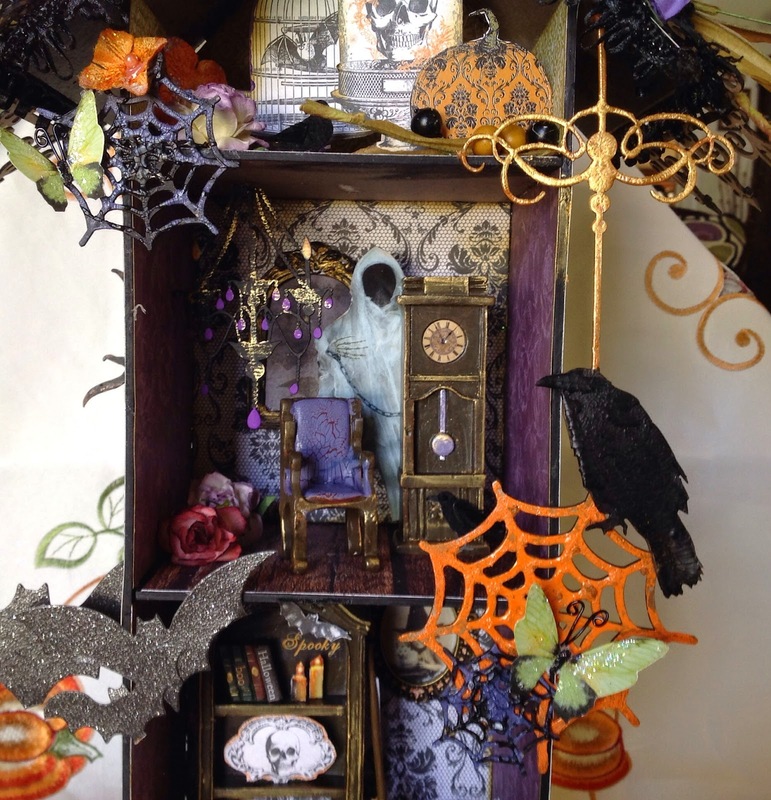 Veronica here once again to share one of my projects using wonderful Lazer cut chipboard pieces from Gina's Designs! Today I created a lovely Scrapbook page. I love to layer, and Gina's Designs gives you so many shapes to choose from! Here I used a variety of pieces. Feathery Flourishes, Arched Window Set, and the Photo Reel Small. I love how adding a simple Doily adds a touch of femininity to a layout. The Skeleton Clock also adds a touch of Nostalgia. Thank you so much for taking a look. I hope you enjoyed this Layout as much as I enjoyed putting it all together. I wanted a whimsical feel to my page, and the sweet fairies were perfect for that. I used one of my favourite techniques to finish them: painting with acrylic paint followed by stamping and heat embossing. 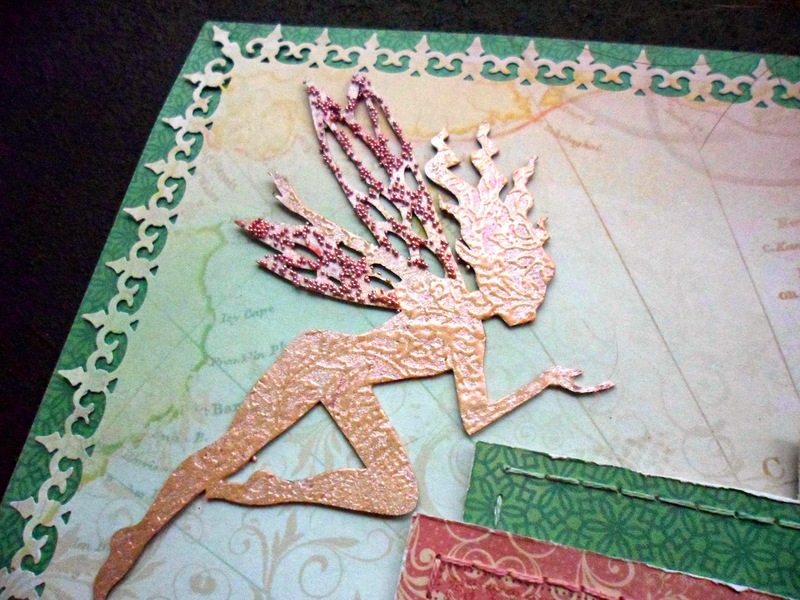 I used a delicate paisley stamp and soft colours, then added micro beads to the wings. The flourishes are actually a frame that I divided to better showcase them and the photo; they also set off the pink stencilling. On these I used the same technique but embossed with clear embossing powder so I was just adding texture.